Morgan Spurlock is one of the coolest people on the planet. I know from experience, since I interviewed him a couple of years ago, where we talked about our love of horror movies, ‘Spinal Tap‘, Fangoria Magazine, Steve Martin, and ‘The Simpsons‘. Spurlock got his big break from making a documentary where he ate McDonald’s for every meal for 30 days. That documentary was called ‘Super Size Me‘, which tuned Spurlock into a superstar filmmaker. He’s made a ton of films and TV shows over the past several years, all of which are worth watching multiple times. This Halloween season on The Discovery Channel and in some theaters, you can see Spurlock’s latest opus called ‘RATS‘. 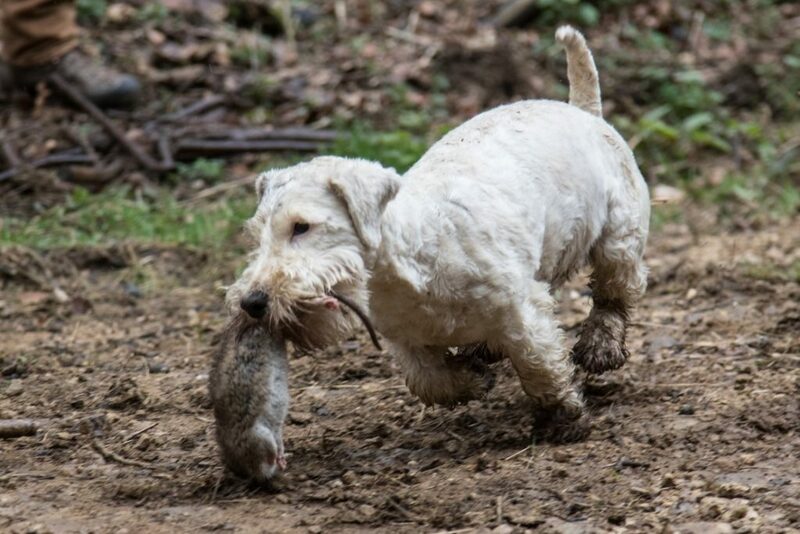 Yes, Morgan made a documentary about the disgusting rodent, but it isn’t your typical documentary fare. Spurlock went the extra mile and made this documentary look and sound like a true-to-god horror film, complete with a haunting soundtrack, horror genre type camera shots where rats run at the screen trying to eat you, and more. 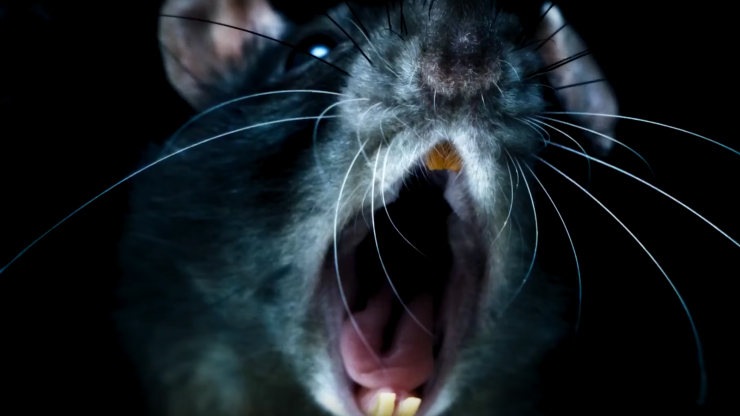 This film ‘RATS‘ will sure make your skin crawl and keep you up night, wondering if there are any rats in your room. Spurlock and his camera crew travel the globe to learn more about these pesky insects who are responsible for some of the worst diseases known to man, including the black plague. Spurlock found an amazing interview subject in New York named Ed Sheehan, who has been a NY exterminator for almost fifty years. This is guy is the poster child of coolness, as he sits in a dark room, smoking a cigar, and tells us that the rat population are more like Borgs from ‘Star Trek‘, meaning they are super smart and adapt quickly to stay alive. Telling us that the nicest restaurants in NY have rat problems and that if you kick any garbage pile on the street of New York will scare dozens of rats out (which we see happen), you start to realize there is a big problem with his rat population. Using different horror tropes throughout, Spurlock keeps interest and tension high with each new subject, such as traveling to England where a guy and his many terrier dogs seek out rats on a farm, where we see the blood, guts, and carnage spill all over the grass and dog’s mouths. On second though, I now need a terrier. One of the more gruesome scenes is where we follow a team of scientists in New Orleans, who collect rats from the city streets and start pulling off all of the viruses and parasites from these rats, which looks like something out of ‘Aliens‘. I almost had a panic attack in the theater watching this scene. We also get to travel to Vietnam where most restaurants serve cooked rat as dishes, just like they would serve barbacoa or brisket here in the states. We see how it’s chopped, plated, and served. Horrifying. We eventually end up in India at a Hindu Temple that houses almost 40,000 rats. People come from all over to spend time and pray to these rats, because they believe the rats are re-incarnated family members. To each is own, right? Spurlock has definitely conjured up a -scary-as-hell documentary this Halloween season and must be seen to be believed. ‘RATS‘ is one of the better and most entertaining documentaries I’ve seen in a while, even though I had horror-rat dreams for a week. This entry was posted on Saturday, October 22nd, 2016 at 9:52 am	and is filed under Film, News. You can follow any responses to this entry through the RSS 2.0 feed. You can skip to the end and leave a response. Pinging is currently not allowed. « Film Review: ‘Jack Reacher: Never Go Back’!